Who doesn’t enjoy a good series? I have loved them for as long as can remember. I especially love it when characters re-occur in books. Something about getting a glimpse into their lives, seeing how they’ve continued to grow...To me it feels like catching up with old friends. Part of me always dreamed of writing a series myself. Of course, to do that, I had to get published first. I had no idea what writing a series entailed. I hadn’t had any formal writing training or attended conferences. 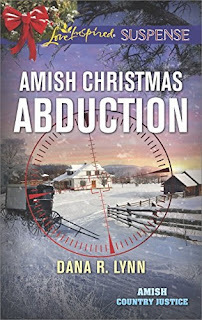 When I entered Love Inspired Suspense’s Killer Voices contest, I had an idea for a series. But it wasn’t until I started to write that series that I realized I had a problem. There were so many ideas and details to remember, details that even I as the author had trouble keeping track of. What color were Seth’s eyes? How old was Irene, Jace’s sister? Even something as simple as names became crazy. I couldn’t remember what I had named some of the background characters. Which is why I have two characters named Martha. One in Presumed Guilty and one in Plain Target. At that point, it became apparent that I would need to get organized or this project was going to become a nightmare. A friend recommended keeping a notebook with notes. So I did. But that wasn’t enough. Then I started keeping a character chart. Which was fine, except when I left it at home because it wasn’t with my notes. Then I stumbled across the idea of a series bible on Pinterest. I decided to try it. It doesn’t look like much on the outside, but it’s loaded with stuff on the inside. 1. The first thing I did was I found all of our old calendars. I have started to map out my plots on calendars while I’m writing my synopsis. That way I have a linear vision of the time frame of the story. 2. I wanted to keep my characters straight. I have a section for a chart I made for the characters. Names, role in the story, age, physical description, their special talents, and whatever books they are in. I update it as I go along. 3. The next tab is for the timeline of the series. I update this with new information each book. How old is so and so’s children, Marriage dates, any changes between books, that sort of thing. 4. Each book gets its own tab. For each tab, I have color post its as markers. For every book I include its synopsis or plot outline, any notes my editor or critique partners made, pictures that I have found that go along with the story (Character images, houses or scenery, special items of significance). 5. In the pockets of the binder I keep worksheets that I might use when I’m developing my story. This system isn’t perfect. However, it has made my writing a little less complicated. 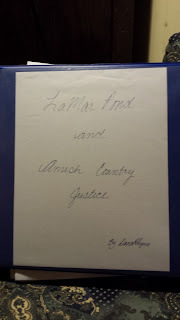 I just turned in my seventh book set in the fictional Pennsylvania town of LaMar Pond. I truly believe I would have pulled out all my hair had I not had a way to keep everything straight. Thanks for stopping by to visit! I’d love to hear about any tricks you use to organize yourself, whether at work or at home. (I can always use tips for organization in the home!) I’d also love to hear about some of the most memorable series you’ve read. What drew you to them? I’m giving away two books to commenters on this post. 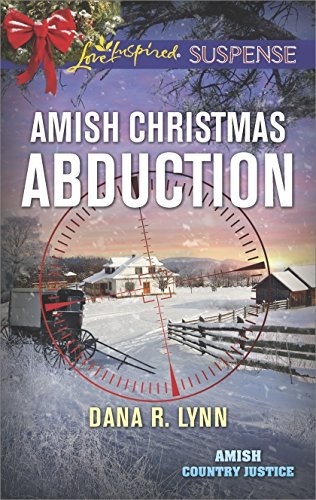 One reader will win a copy of my December book, Amish Christmas Abduction. 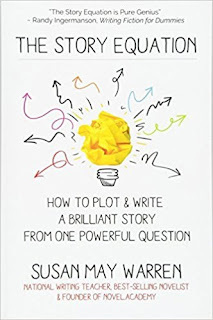 One writer will win a copy of the book The Story Equation by Susan May Warren. It’s one of my go-to books when I’m plotting and getting to know what makes my characters tick. Dana R. Lynn grew up in a suburb of Chicago, Illinois. She was blessed to belong to a large, boisterous and loving family. Even as a child, she was in love with the written word. Trips to the local bookstore and library were frequent and long, and she never left empty handed. As an adult, she fell in love with Deaf culture. She works as a teacher for the Deaf and hard of hearing. She has also worked as an educational interpreter. She might have stayed in Illinois, but God stepped in. She met her husband at a friend’s wedding in Pennsylvania. And knew. Returning home, she informed her parents that she had met the man she would marry. And she did. Now she makes her home in Pennsylvania with her husband, her children, and enough animals for a small petting zoo. She enjoys writing stories with heart-stopping suspense and romance. Hey Dana! This was a timely post, as I'm in the thick of a series. I had stories all over the place in different files and with disconnecting pieces that I finally realized should all belong in one series spanning several generations. Talk about an unorganized mess! As far as tips to organize the home...I've got nothing. I'll scan the comments to learn from everyone else on that one. LOL. Thanks for sharing your organizing tips today! I'd love a copy of The Story Equation. That's one I haven't had a chance to read yet! Megan, I love the idea of using Scrivener. I write all my stories in it. Ruthy, I don't get it either. I can do tech, but only if someone, usually my adult daughter, feeds it to me in pieces and speaks very slowly. Ruthy, I'm with you! My head just exploded!!!!! Yikes! I didn't mean to create such a mess. Looks like I'll need to call in all the king's horses and all the king's men to see if we can get you all put back together. If binders and folders work better for you, more power to you! I love how every writer has their own process and figures out what works best for their creativity and organization. You are such a neat group of people! I keep all the details in Scrivener, too. Which is strange, because I usually do better with notebooks and paper when it comes to these kinds of things! So no worries, Meg. Not everyone's head exploded! First... you both amaze me. I don't use Scrivener or notebooks, but I know so many authors that do... only you guys take it to the max of crystal clear organization and I'm gobsmacked. AND CONGRATULATIONS ON THE CONTINUITY!!!! WHOOOOT! WHOOOOT!!! We are happy dancing that you gals are all on board with that! And how cool of Love Inspired to put that together. Dana, I loved being part of the Big Sky continuity, and I love being part of the Mysteries of Martha's Vineyard series with 8 other authors... God love the behind the scenes people that keep it all straight, but what a fun project it's been! Ruthy...I was so thrilled to be asked to join the continuity. And to be working with two fabulous authors like Debby Giusti and Maggie Black is a dream. I have had some true fan-girl moments. Dana, I'm excited about our Amish WitSec continuity!!! So honored to be in the continuity with you and Maggie! Karen, I wish I could dream of writing advice from Ruthy. Do you have any special bedtime rituals? Anything you eat before packing it in for the night? Dana, this is great advice. I just naturally gravitate toward series, don't believe I've ever written a stand-alone, there's always some character who calls out to me for their own book. I'm pre-published and I already have the sequel written for the novel I just contracted for, even though nobody's asked me yet. And may not. Also have sequels in draft for two other series, my post-World-War-I story and my contemporary Christmas romance, even though they haven't been accepted yet. I love writing series and reading them, although too many characters can become unwieldy -- for the reader. I don't want to spend the first five pages re-introducing everybody, that is a serious drag on a story. It is a learning curve. On the other hand, some books weren't meant to be series and who knows how many people have tried to write a sequel to "Gone With the Wind." Anyway, I love your idea and plan to do something like that as part of my organizational thrust this year. I really like to work in Excel, so may try something there. I'll be in and out for a while, then off for a Winter Weekend. Have some stuff to edit, plus Jan's new book, so I'm looking forward to it. It's a conference and my husband will be in sessions, so plenty of time to myself. The one thing I love about the LIS series' is each book is supposed to be able to stand on its own. Which means that I don't have to include all the characters from past books in it. Good luck on your next book! I'd also like to be part of a continuity, now that I've finally figured out what that is. Put me in the drawing for either book. I love to read and I love to write. Dana, I always start character notebooks with great intentions, but alas, they go by the wayside rather quickly. Instead, I find photos on the Internet, have prints made, and keep them front and center. One of these days I'll find an organizational system that works for me. I'm glad you found yours!! Barbara, I also keep Pinterest boards for each book. Just because Pinterest is fun! Christy, right? I love that book! Dana, you're more organized that I am. Although my series always feature stand-alone stories. I'll have one or two characters from the last book make an appearance, but usually, each story focuses on new characters. I do create an A-B-C name chart for each book so I don't have names that begin with the same letter of the alphabet. I believe the tip came from Missy. It's made my life a lot easier! Without the chart, I'll create Matt and Mike and Melissa...all too confusing. With the chart, every name is unique. Hopefully!!! I learned about first names while writing my debut. I was one of those "well-duh" moments, but as a reader I'd never realized authors avoided names that begin with the same letter. In my WIP, I have a scene with two minor characters whose names are Jackson and Geoffrey. Even though they start with different letters, the sounds are the same. I wonder if the visual J/G is enough to separate the two? Although my gut tells me I probably need to change Geoffrey's name. Debby, I got that name chart idea from an online class I took. I believe it was Susan Wiggs who taught that one. Also, Glynna has made a character name chart. Karen, I wouldn't have any trouble reading those names. However, I wonder about people who might listen to audiobooks. But for reading, they're different enough. Debby, I need to work more I'm being organized in my home, lol. I need to try that trick with keeping track of the name letters. I have way too many I and M names. Dana, you are my role model of the day! Thanks for sharing your process. I haven't written a series, but I have so many writing things I need to organize. This must be the theme of the day. 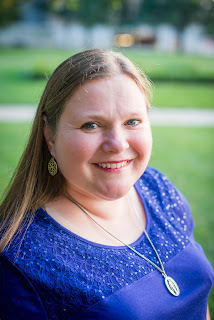 Organization is the topic of Jennifer Hallmark's post on Seriously Write today as well. I may be getting the hint... :) Thanks for recommending The Story Equation. I'm going to check into that. Karen, yay! I've always wanted to be someone's role model! There aren't many books that I use on a regular basis when I write, but that's one of them. Tracey, I'm the same way with getting sucked in at Pinterest! Good morning, Dana! And thank you for the tips on keeping a series straight. I use a small binder, too, in addition to an Excel spreadsheet. Between the two I can keep on track... fairly well...mostly...usually... :) I find them helpful to jog my memory from book to book of who is who, how I earlier described a person or setting, etc. The binder, too, is where I keep my character "wanted" poster for each story for quick reference (I think one of my blogs on that subject in the Seekerville archives) that highlights what hero/heroine look like, background, internal/external goal, motivation, conflict etc., for quick reference. Oooh, Glynna... I can't believe I didn't think about adding in the characters goal and motivation! I'm going to have to do that. The character chart was a September 23, 2015 post -- "Staying Focused with a Character "Wanted" Poster." 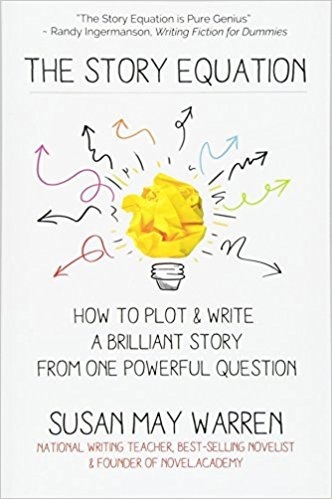 I also included: what if goal NOT met, greatest flaw, greatest fear, secret, the lie they tell themselves, and how they will change over the course of the story. All on one page so I can tape it next to my desk. Dana, welcome!! I love how you organize your notebook. I used the notebook layout in Word for years and made tabs to keep track of everyone. But then Word quit doing the notebook layout. So I tried OneNote. But I haven't liked that. I'm just not sure what I'll do next. I may have to go to a physical notebook, too! Missy, I could never get into OneNote. I like to have pages to turn. And something about writing things out helps me to think better. Welcome, Dana! It's always good to see you (insert cyber hug). And congratulations on the continuity series. That's wonderful news. I know where you're coming from on the series and I'm like you in that I need to keep those ages and dates and other details where I can easily access them. Except you're much more organized than I am. When I first started the series, I took a small white board and wrote down all of the pertinent details about each hero, in this case brothers. Their names, ages, profession. Then I set that on the shelf near my desk where I could glance at it any time for quick reference. Like Ruthy, my head might explode if I did much more than that. Fortunately, God has blessed me with a good memory when it comes to my characters. I can't remember what I had for lunch yesterday (actually, today I could tell you since we found this new little lunch spot in the middle of rural nowhere that served the BEST crème brulee. Crème brulee I can remember), but characters are like my children, so I remember them. Mindy, hi! Obviously your system is working for you. I'd hate to have any more people with exploding heads. Too messy. Um, another tip I just thought of...don't have too many characters to begin with. And they don't all have to "recur" in the next book. That's something I'm working on...Be careful who you carry over from a previous book. They don't all have to come along for the ride. 'Cause it's not a "free" ride for you if you have to corral a cast of thousands, my mixed metaphor notwithstanding. But...but...but Dana....aren't all the characters alive and in your head telling you what they are up to now!!!??? Mary, that is what happens with me too. Which is why I have points on my driver's license. Mary, unfortunately yes! I often wonder if people think I'm crazy when they drive past me. You can frequently see me talking to myself in my car. I'm actually talking to my characters. I LOVE series! I'm the type of person who likes to get invested for the long haul, the longer the series, the better. And that kind of shows through in my writing. My first novel was the first book in a four book series, then I have a six book series and some open ended series (as in not even I know how long they're going to be). Keeping track of the little details can be hard. Unfortunately i'm a terrible organizer so I don't have a specific plan for keeping track of them. I basically just dot down whatever information I think will be useful and go from there. But I find that the longer I spend in a particular story, the easier it is to remember details. Once I've spent a couple books with characters I don't need to look up how old they are, what their descriptions are, or even when their birthdays are. They are all permanent fixtures of my head. I agree, Nicky. I can keep track of my main characters fine now. Sometimes though I have trouble with the characters that appear just once. And then I have trouble remembering did I use that name already when I'm working on the next book. I also need to be careful to remember the time line. That's what caused me the biggest frustration. Good luck in the giveaway! I love reading a long series! I've always wondered how the author keeps track of everything. Thank you for sharing. You can always consolidate a character, and that will streamline things a bit. Nobody needs TWO town drunks who used to be brilliant surgeons. Even in the Old West. I envy organized people. In my third book in the Hagenheim series, I listed the hero and heroine's children from the first book in the series. One of their kids' names was Wolfhart. Guess what his name changed to in the 4th and all subsequent books? Wolfgang. No one has mentioned this to me. No one. Guess who is the hero of the book I'm writing now, which is the 9th book in the series? Wolfgang. LOL! Thanks for being with us in Seekerville today, Dana! I know, Missy! I messed up another character's name. Elsebeth became "Lindy," mentioned only once, in another book. Ack!!! Several people wrote me about that one. I asked my publisher to change it in the ebook (not really believing they would) and I haven't received any more emails about it, so I guess they really did make the change. Melanie, I laughed so hard at this one! Great post, Dana. I like to use binders. At least I start out with them, then kind of lose my way. I'm going to try your ideas. I'm one of these people that is in love with the idea of organizing, but I fall far short of the goal. Please enter me in the drawing for The Story Equation. Sandy, I totally understand. I have tried so many organizational systems, both for work and at my home, and they just don't seem to work out. I love your binder. I think I have binder envy. So I stick with Scrivener. All the information I need about families, settings, etc. are just a click away. When I work on subsequent books in a series, I just copy and paste the information into the next project file. Hi Jan! The one thing I love about the binder system is that when I am working on my alphasmart I can just bring my binder with me. Sometimes I find that in order to actually get something done I have to totally get away from my computer. I tend to get easily distracted by important things like Facebook and Instagram and Pinterest.Lol. LOL! Yes, they are distracting! Hi, Dana! I love your system of organization. I keep everything in a file on my computer...and in a stack of research books that I flag with post-its. I tried Scrivener, but it couldn't see the story the way I needed to. Hi Erica! I'm a huge one for using Post-it notes also. I love Scrivener. I don't use it for editing though. I just use it to get my first draft down and then I do everything else in a Word document. Love all these exploding heads! I'm still at the notebook stage. You're much more organized than me. The older I get the worse my memory so I know I'll need to improve. Thanks for the great ideas. Connie hi! Oh, those exploding heads. Haha. I feel like sometimes I just have too many things to try to keep in my head. Work, home, my characters, my brain is just not strong enough to hold it all. 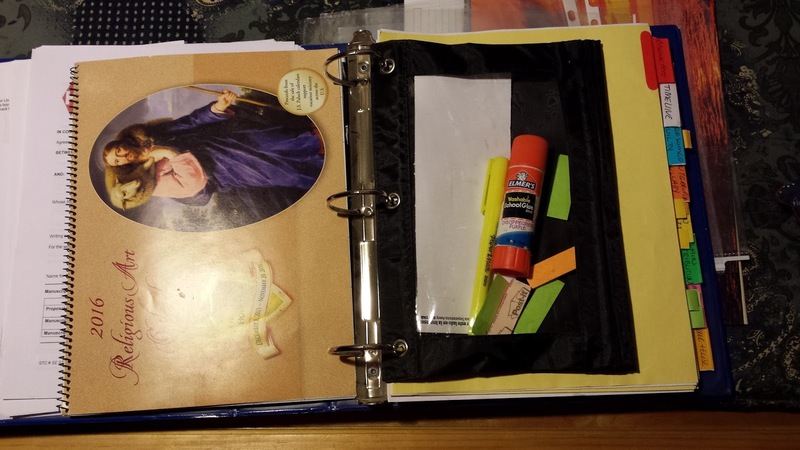 I especially loved seeing the photos of your binder and reading about your organizing for writing. Tough to decide whether to enter as a writer or reader today but I think a writer... I'd enjoy reading your book but think I need more help with plot. Thank you for the opportunity. May God bless you and all of Seekerville! Phyllis...I am glad you found it useful. Hi Dana - greetings from New South Wales Australia! I really appreciate your practical tips on keeping track of a series. I’m writing my third series of three, with various characters from various books popping up occasionally in later ones, so organizing so many people, places etc has been a tad overwhelming - I have so much going on in my head it’s scary! But now, thanks to you (& the fab comments), I see I’ll need to just do it, and get my non-scrivener self ORGANIZED! (And maybe get a copy of Susan May Warren’s book too!) So thank you for sharing today! Carolyn...you're so welcome! I hope you find that something here is really helpful. What I love about a series bible/binder system is that you can tweak it to fit your needs. Hi Dana! Your organization is amazing! Love it. Hi Beth! I have bins at home too. Trouble is, I keep filling them with stuff that wasn't supposed to go in them. Love the title of the book. Dana I just love how you have made this organization work for you! Genius girl! I am definitely keeping this fabulous information! Thank you so much! Hi Dana, I admire your organizational skills. Several years ago I discovered Jennifer Chiaverini's book The Quilter's Apprentice and this began my obsession with the Elm Creek Quilts series. There were a total of 20 and the last one was published in 2012. I felt like I was being deprived of friends when I no longer had a new book to look forward to. As I was reading how you keep track of your characters I realized just how complicated it could become! Thanks for sharing & please enter my name in your drawing. Long live series! When an author has put so much thought into the environs, it's as fun to see that develop as to get to know, and repeatedly see, the characters. It's always interesting to see how other writers organize -- I've done a few of the things you mentioned, but I definitely intend to implement others. Thanks for such a helpful post. And congratulations on the series! Great stuff, Dana. I love seeing how others keep up with all the details. I write in Scrivener, but I have a series timeline in Excel. With this last book in my series, I imported the headshots of all 3 heroes, 3 heroines, 2 villians, and 2 secondary "mentor'ish" characters who played significant roles. There's a sidebar in Scrivener called Document and you can toggle between them, so I could see the main character and their eye color, hair, etc. while writing. It helped so much to keep things straight. Dana, thanks for the organization tips. I think and plan to be organized, but it's not natural for me. You've helped. Thanks! Hi Dana: I especially liked your column today because I did about the same thing. I took a binder with dividers and made character sketches, etc, and even cut out people from magazines so I had a true picture of what they looked like. Any other research I printed out, like the car they drove or map of the town I was using was in its own section, as was newspaper articles too. This was all before the computer programs elevated to today’s Scriverner, etc. it’s an easy way to glance back at your notes and, yes, check eye color. Smile. Thanks for sharing, it sure hit home with me. Have a blessed day. I've slipped away from Seekerville for a while, just lurking mostly, but my eye caught the word "series" and I had to read the post! Since I'm not very computer or "Office" savvy, I write everything down. I also have a large blank wall next to my desk that I have covered with the largest piece of poster board I could find, and it is covered with post-it notes. This way I can glance up to it as I'm writing and everything and everyone is there! I can add notes as I get other ideas, or my characters talk to me. I also keep a notebook or two. I try not to have too many characters to keep track of, and I do the ABC block to prevent name duplication. My daughter pointed out to me one day that all my characters had 4 letter names, so I had to scramble around to change them. I have Pinterest, but haven't put my books on there yet; once I go there I'm on it all day.